Suriya and Lingusamy will be teaming up again! But this time around, Lingusamy will not direct the film but produce it under his home banner, Thirrupathi Brothers. 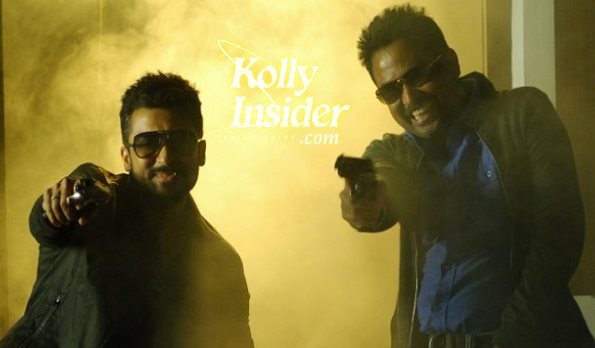 The film Anjaan with Surya directed by Lingusamy faced failure last year. They both came under severe criticisms. Currently it emerges from the internet, they are once again in a new film. This time Lingusamy does not directs, but he only produces the film. Before few days, there was some unconfirmed news that Suriya will be teaming up with ‘Sathuranga Vettai’ Vinod for his next after ’24’. It has been officially informed by the Thirrupathi Brothers, who are funding the project. Some of the sources instantly get the scoop for us that much alike Sathuranga Vettai, this would be a thriller based on the concept of heist. The pre-production work has begun and more information pertaining to others in the cast and crew would be made shortly after the finalization. Right now, Suriya is busy shooting for his current project ‘24’ in Mumbai, directed by Vikram Kumar with Samantha in female lead. Surya also starring in the film ‘Haiku’ directs by Pandirajan. After completing these current shooting, the film directing by Vinoth soon to start. Meanwhile, Surya starred in the film ‘Mass’ directed by Venket Prabu yet to release.